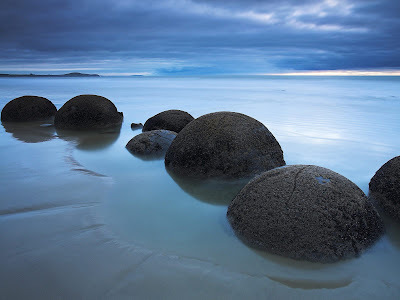 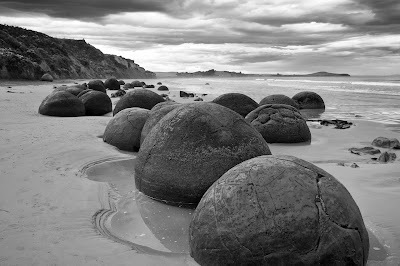 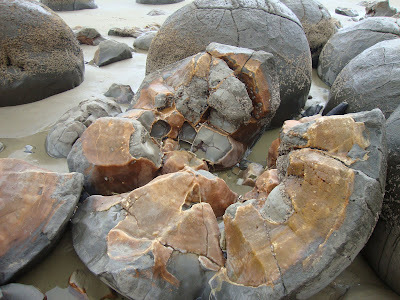 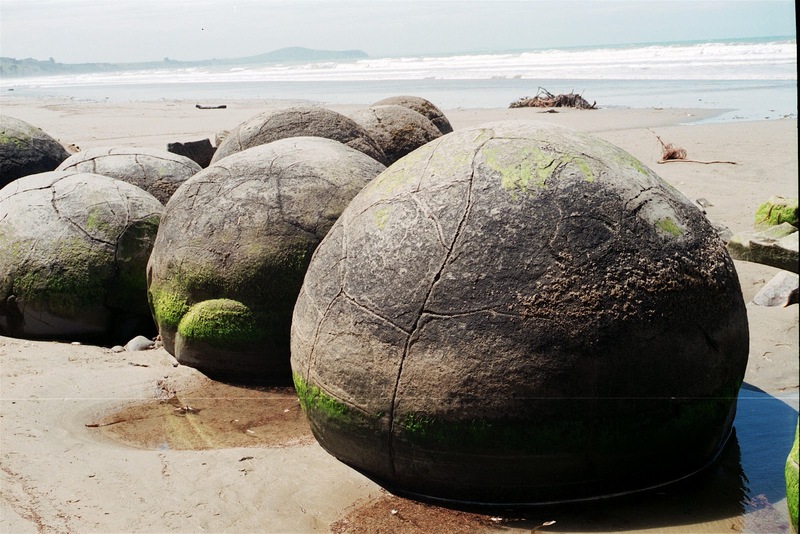 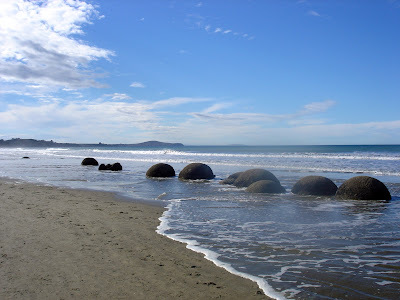 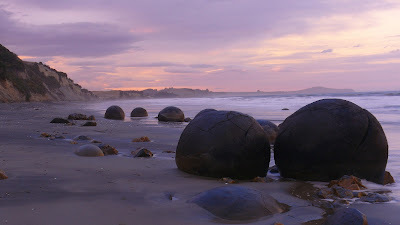 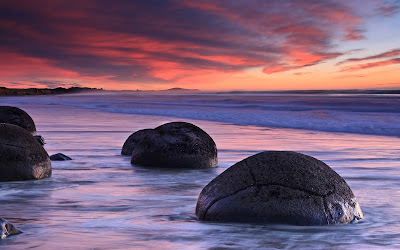 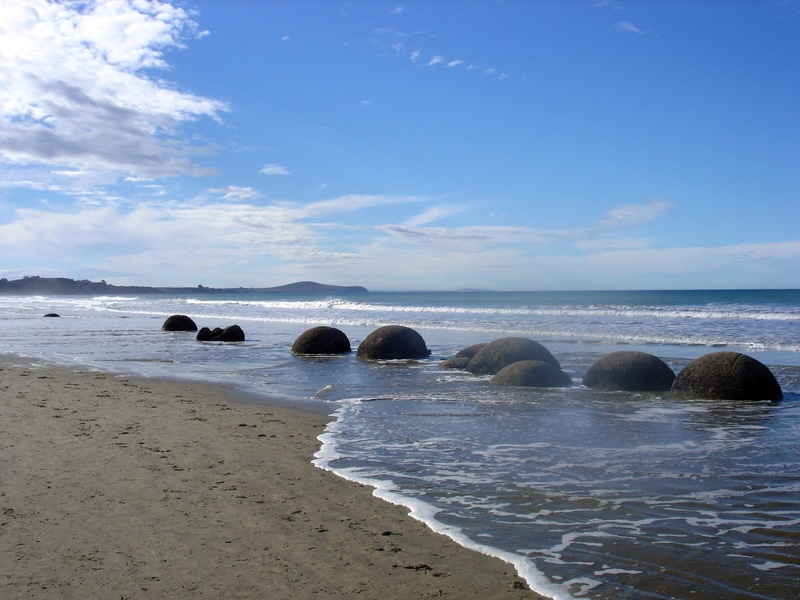 These large, spherical, alien and strangely beautiful boulders are mainly located on Koekohe Beach, part of the Otago coast of New Zealand’s South Island. 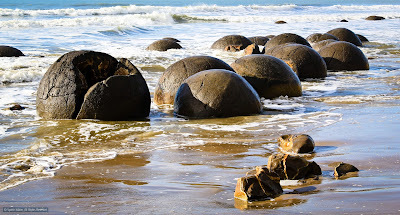 Known as “Moeraki Boulders” they were originally formed on the sea floor from sedimentary deposits that accreted around a core in the same way that a pearl will. 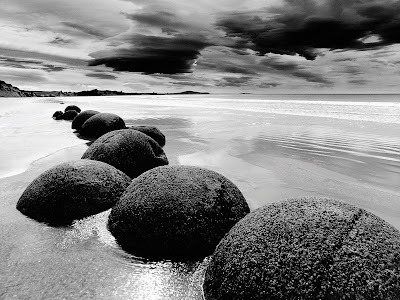 form around a particle of sand. The erosion of the cliffs often reveals these boulders from the surrounding mudstone allowing them to join those already on the beach. 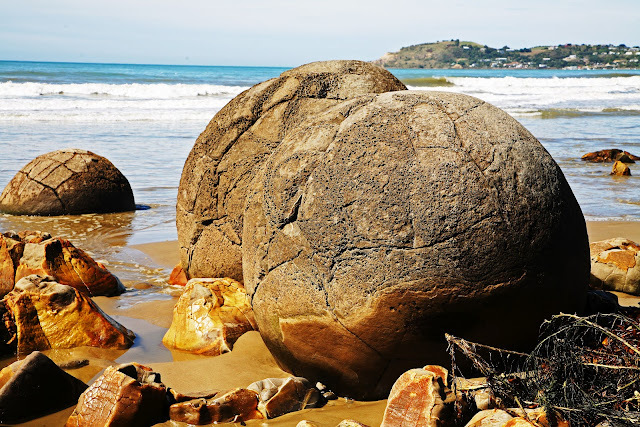 Some of the larger boulders weigh several tonnes and can be up to three metres wide.Maori legend attributes their origin to the arrival of the first ancestors / giants who came in the great Araiteuru canoe which was sunk by three great waves at nearby Matakaea.